All you need is love. | Life. Realized. Um, where have homemade marshmallows been all my life?! Sure, I've seen recipes for them here and there, but I always assumed they were reserved for those with a domestic prowess greater than my own. Wrong. So. Wrong. They are fluffy clouds of sugar and the wonder that is gelatin. And oh-so good. Kiddo and I whipped some up on Christmas Eve and had them in some made-from-scratch hot chocolate Christmas night. Perfection. There are a lot of recipes out there, and they're all pretty similar, but I went with Ina Gardner's Homemade Marshmallow recipe. She's the culinary goddess also known as The Barefoot Contessa. You knew that. What's better with marshmallows than hot cocoa? I made the real thing for the first time. It was so good! I don't know if I'll ever be able to embrace store-bought hot chocolate and marshmallows again. I followed a Creamy Hot Cocoa recipe I found online, but modified it to be dairy-free. 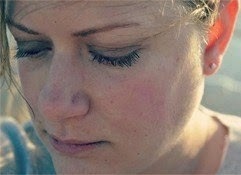 Even my alternative-milk phobic husband loved it. Success! Combine the cocoa, sugar and pinch of salt in a saucepan. Blend in the boiling water. Bring this mixture to an easy boil while you stir. Simmer and stir for about 2 minutes, using care not to scorch. Stir in the 3 1/2 cups of milk alternative and heat until very hot, but not boiling. Remove from heat and add vanilla. Divide between 4 mugs. Add the cream (if desired) to the mugs of cocoa to cool it to drinking temperature. Top with a homemade marshmallow (or two). Oh yum! This looks so delicious and creamy! 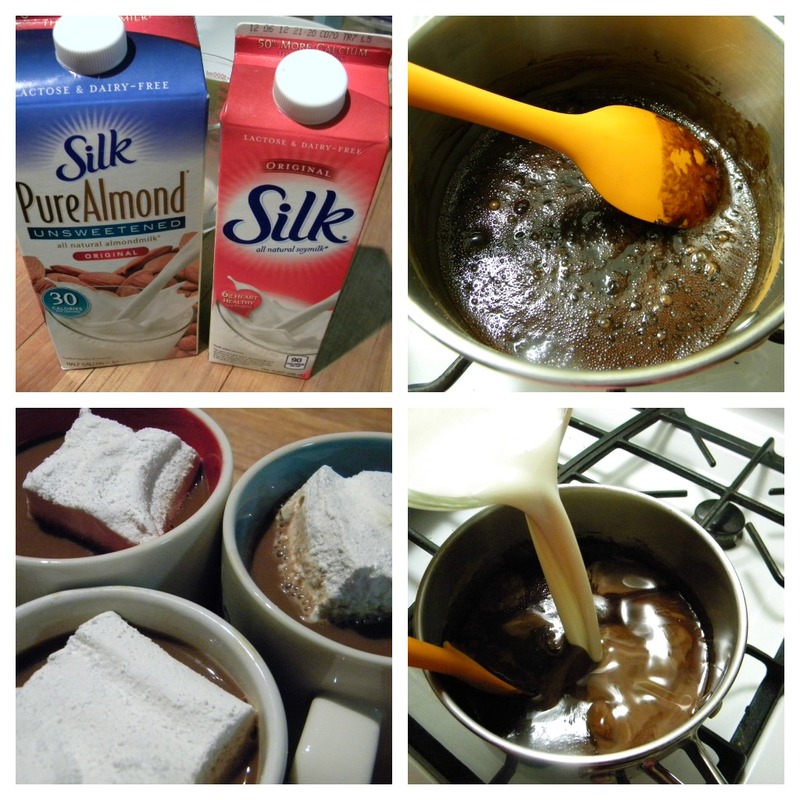 I adore almond milk, it's my absolute favorite and have yet to make hot cocoa with it! Happy new year! 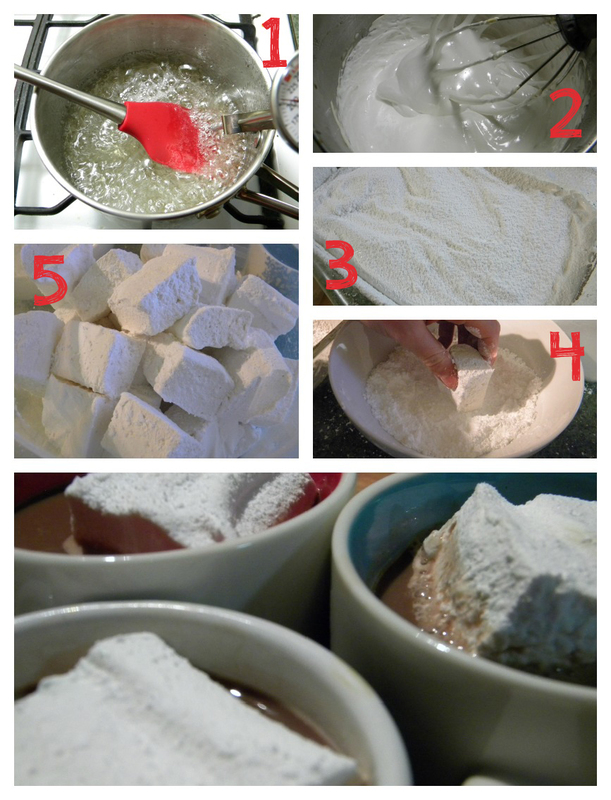 This looks amazing, I love making homemade marshmallows!